Rolling Thunder: How Low Can You Go? When Bradley Bohac comes and goes from his house near Ramsey Park, his neighbors know. His Ford Mustang may look modest, but it packs a pair of 18-inch sub-woofers in the trunk, powered by a $2,000 amplifier to announce his arrival and departure in no uncertain terms. His windshield shimmers from a sonic overload that could blow out a match. “If you want to swang and bang with the big boys, you’ve gotta have the system,” Bohac says, gently swerving his ride to the beat of a “screwed and chopped” CD from Houston’s Devin the Dude. You’ve probably heard the stuff — that rap music with the nuclear bass that flattens out and sustains, sounding more like a heavy appliance on the fritz than anything musical. You’ve heard it whether you wanted to or not. Over in East Austin, meanwhile, the slow and furious promenade rolls almost nonstop. When a couple of SUVs sidle up to each other at the intersection of East 12th and Chicon streets and crank up the music in impromptu competition, it sounds like Vietnam, 1968. But the booming SUVs are gone before the dispatcher gets an address. The thunder rolls down dark blocks, announcing to those inside their homes: “Here we come. We’re bad! Can you deal with this?” Sometime during their cruise they’ll end up at Givens Park off East 12th Street or at the Tiger Mart on Ed Bluestein Boulevard, favorite hangouts of “screwheads,” so tagged for their adherence to a style created by a guy from Smithville, who helped make Houston a hip-hop Mecca. Three years after his Nov. 16, 2000, death, DJ Screw still rules the streets, wreaking havoc with his psychotic-sounding remixes. Forget the trippy delicates like PM Dawn and De La Soul; it’s DJ Screw who made rap music psychedelic. But the attendant lifestyle he advocated, which included “sippin’ lean” (drinking codeine cough syrup) to get the full sluggishly hallucinogenic effect of the music, ended up killing him at age 29. Screw protege Big Moe dubbed Houston “The City of Syrup” with his 2000 album, but by the end of the year, the mayor of sound was gone. The autopsy reported the cause of Screw’s death as an overdose of codeine, with traces of Valium and PCP also in the bloodstream. Not since the death of Selena have so many Texas music fans grieved as when Screw died, quite simply, from trying to get too slow. One can debate what was the first rap record, who invented house music or whether punk rock started with the Stooges or the Ramones, but there’s no denying that Robert Earl “DJ Screw” Davis originated the bottom-heavy remix sensation that still reverberates today. He’s been given a producer’s highest honor: his name has become a verb. It doesn’t matter who’s at the board these days — to slow the tempo down is to screw. Working as a Houston DJ in the late ’80s, Davis accidentally hit the pitch button while a record was playing, slowing everything down. Then Davis turned up the bass. There’s your big bang. 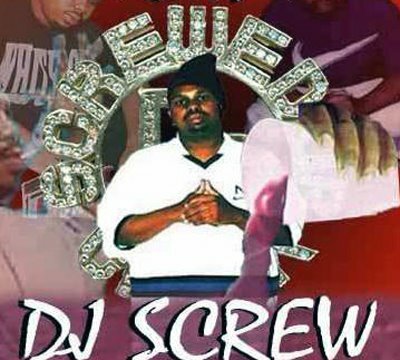 Named after his penchant for damaging records he deemed “whack” by scratching them with a screw, Davis became DJ Screw, and the subgenre he invented was called “screwed and chopped.” Chopped refers to the old-school technique of repeating and rearranging lines. A customer asks to sample the new Lil’ O CD, but rather than play it on the store sound system, LaPicca hands it to the guy, who takes it out to his car. It’s a new twist on listening stations. “This is ridin’ music, man,” LaPicca says. After a few minutes inside his car, the customer says he’ll take it. He drives around the parking lot, swerving to the beat (“swangin’ “) and cutting the wheel sharply (“bangin’ “). Eventually, he opened Screwed Up Records & Tapes on Cullen Boulevard in South Houston, where you shoved your money in a sliding tray to a clerk behind a Plexiglas window. When his music first became widely available on CD in 1998, thieves who broke into Austin’s hip-hop Mecca Musicmania one night took nothing but DJ Screw CDs. The major labels are starting to hire producers such as Watts to make screwed and chopped versions of albums such as “Mississippi” by David Banner. “You gotta come slow if you want to build a buzz in Texas,” Watts says. Before Screw, Texas hip-hop meant the Geto Boys, who put Houston on the rap map with their slasher tales and Stax samples. Inspired by West Coast gangsta rap, the Geto Boys set out to make Ice Cube sound like Young MC. The G.B.’s were harder, meaner, nastier, and when their posse partied, it wasn’t on wimpy cocaine, it was on PCP or LSD or “fry,” which is a marijuana-filled cigar soaked in enbalming fluid. When Screw took over in the mid-’90s, “screwheads” rode around sipping from large styrofoam cups of Big Red, laced with codeine cough syrup. It’s a form of mental dishevelment that’s still popular. Screwed down music is a love it or hate it genre, making it even more appealing to proponents. “That’s our music,” says 22-year-old Johnnie Griffin. “If you don’t like it, (expletive).” He laughs with a mouth full of gold teeth. Griffin is over at Custom Sounds in the Delwood Center, known among screwheads as the place to go to get your system really bangin’. Listening to screw on a factory-installed system is like watching a killer whale in captivity. If you want to really free Willy, you’ve got to get a custom job. You want the bass to fry your neck hairs, to knock your fillings loose. “Get more Bass!” proclaims the Dynomat, one of several bottom-inducing accessories carried by Custom. Unlike hard surfaces, which can distort a heavy duty bass sound, the Dynomat bounces the sound waves like a trampoline. Custom Sounds manager Donald McEvers is in the back putting a set of oversized subwoofers into the trunk of a blue1997 Cadillac. “Everybody wants the biggest bass sound possible,” he says. “It’s all about the status of your ride.” Besides sound systems, which can run as high as $20,000, McEvers is often asked to put TV screens into visors and headrests. Plus, the store sells flashy silver tire rims, many of which spin at stop lights. During a recent hour spent on the patio of Sam’s BBQ, more than 30 feet from East 12th Street, the music from about one in 10 cars could easily be heard. But LaPicca says the police just use the noise ordinance as an excuse to pull over cars and search them for drugs. “They know the screwheads smoke weed,” he says. “That’s what they’re really after.” It’s a claim Bahlstrom denies. It’s a price many fans are willing to pay. “The thing about bass, over all the other sounds, is that you can physically feel it,” says Michael Watts. “It just grabs you and shakes you.” In recent years, car shows have added competitions for the loudest bass sound. Instead of decibel meters, judges use a device that measures air pressure. If sounds were the Lakers, bass would be Shaquille O’Neal. It’s all about the big bottom end, those menacing sound waves that won’t back down. It’s all about being the baddest mammal on the planet, about slinking in your ride, embracing the bass and feeling 10 feet low and bulletproof. This entry was posted on August 19, 2011 at 9:00 pm	and is filed under Uncategorized. You can follow any responses to this entry through the RSS 2.0 feed. You can leave a response, or trackback from your own site.